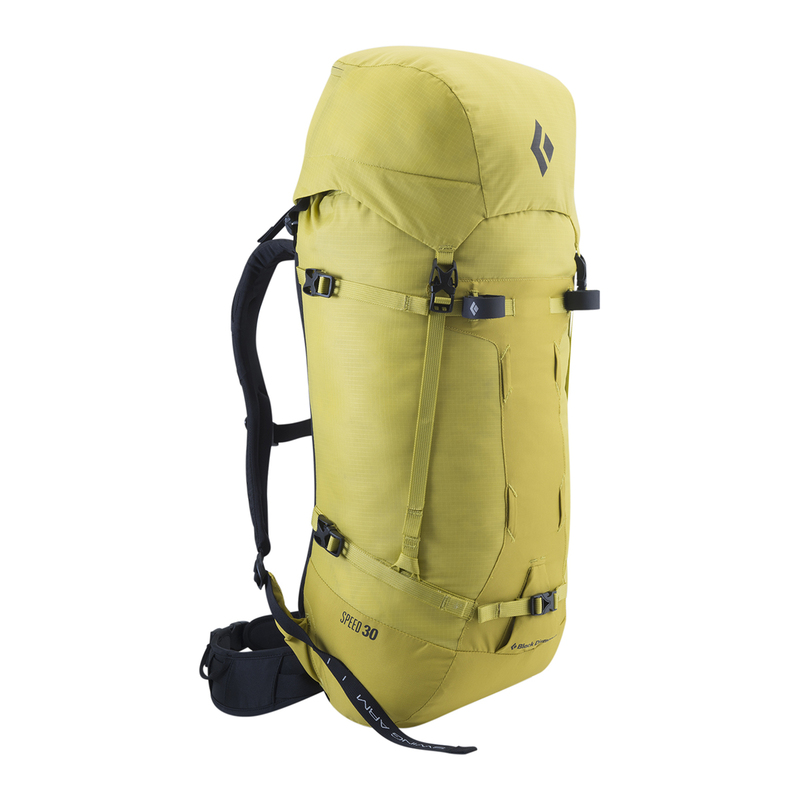 The Black Diamond Speed 30 Backpack is their time-tested on-route 30-litre pack for light, alpine-style ascents on rock, snow, or ice. The Black Diamond Speed 30 Backpack is the streamlined choice for mountain minimalists. The lightweight, frameless, top-loading design and 30-liter capacity accommodate a small rack, layers and food, while micro ice-tool PickPockets™, crampon attachments and tuck-away rope strap secure your equipment and cord on the approach.